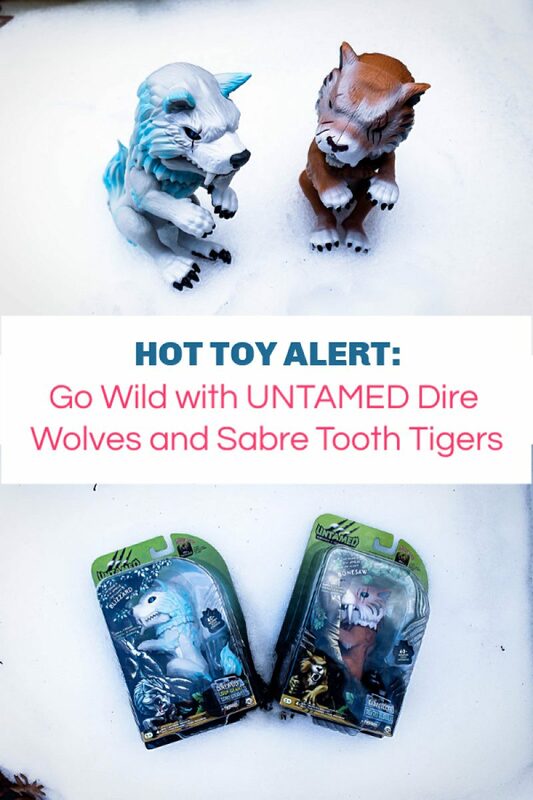 WowWee, the company that bought you Fingerlings, Fingerlings Hugs, and Untamed Dinosaurs, is releasing what is probably their coolest toys yet: UNTAMED Dire Wolves and Sabre Tooth Tigers! Find out why they’ll be on every wish list (adults included! ), and where you can get your paws on them. 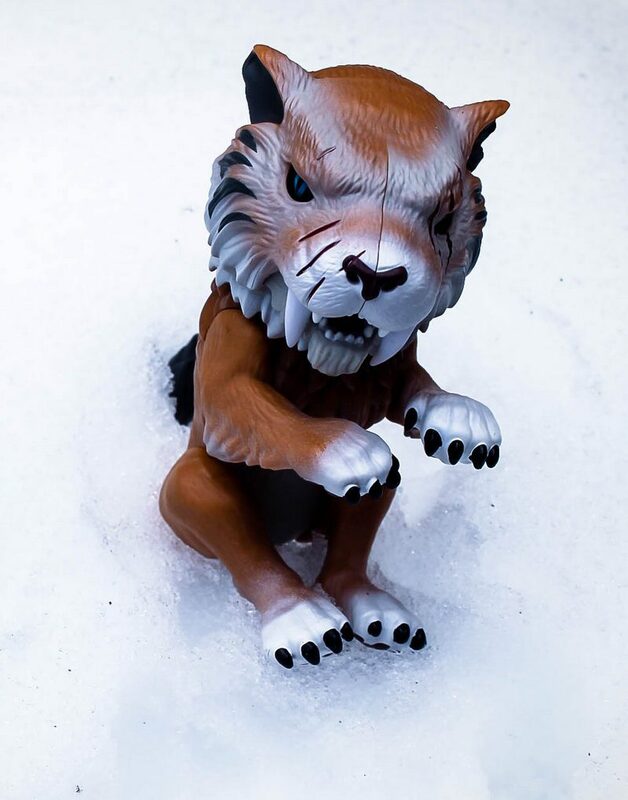 * I received samples of the UNTAMED Dire Wolves and Sabre Tooth Tigers in exchange for telling you about them. All opinions are my own. I’m betting that you already knew that the Sabre Tooth tiger was a real animal, but did you know that there used to be a creature called the dire wolf? I kind of thought they were one of those mystical creatures that you only find in fantasy TV shows and video games, so I looked it up. The Dire Wolf lived the Late Pleistocene and Early Holocene epochs, according to Wikipedia (I loathe using Wikipedia as a source because it’s not reliable, but most other sources talk about the dire wolf in pop culture). They died out about 9,400 years ago, give or take. By comparison, the Sabre Tooth Tiger lived for a good 42 million years, again give or take, and finally died out about about 12,000 years ago. The two apex predators did spend some time competing with each other, though. Now that I feel like we’ve all learned something new today, let’s find out why the UNTAMED Dire Wolves and Sabre Tooth Tigers will be on just about every holiday wish list this year! I usually give my Fingerlings toys to my niece, nephew, or friend’s daughter because they all love them so much. However, I desperately want to keep these guys for myself! Would that make me selfish? I’ve loved all the different Fingerlings and UNTAMED goodies that I’ve checked out, but these are at the tippy top of my list. 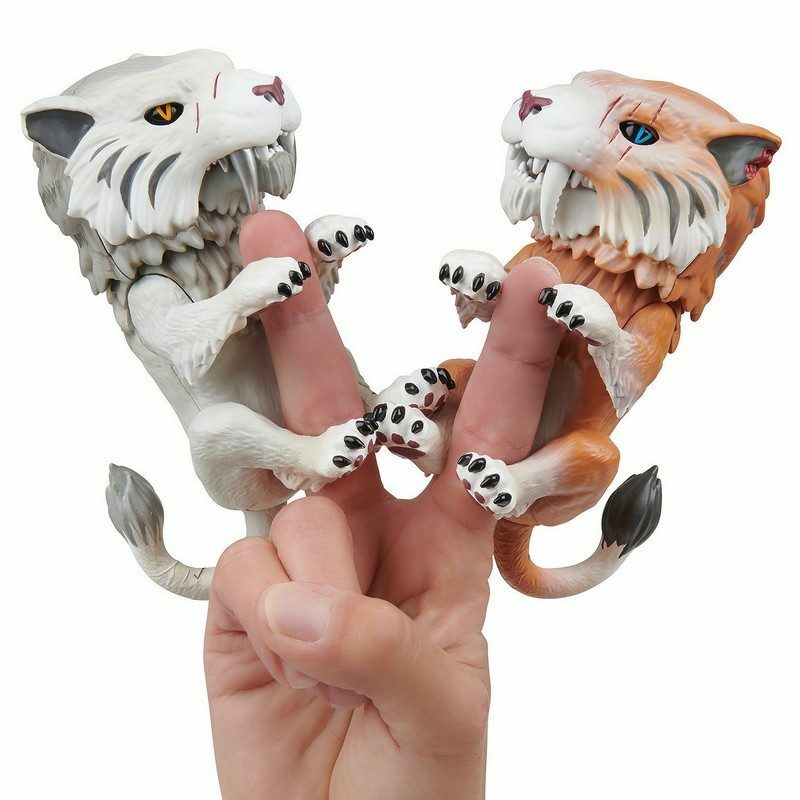 Like the UNTAMED T-REX, both the Dire Wolf and Sabre Tooth Tiger toys have a fierce side and a tame side, depending on your actions. Each one features over 40 different sound effects and animations! The only way to discover them all is to experiment! Pet them, blow on them, hang them upside-down, and watch the special effects magic happen! Meet Silvertooth & Bonesaw, fierce and unpredictable creatures that know friend vs. foe. In the untamed mode, get ready for them to roar like the hungry tigers that they are! With ferocious fangs and snapping jaws, it’s easy to see why they were once apex predators! If you can tame these ferocious beasts, though, you’ll find that a sweet kitten lives within each one! 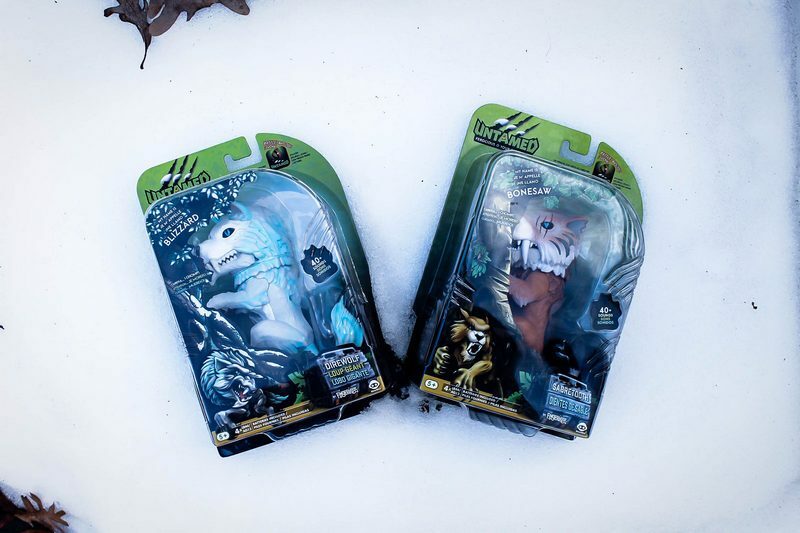 Both of the Sabre Tooth Tigers are available right now exclusively at Target. UPDATE (12/16/18)- For those who are asking when the Dire Wolves will be on Amazon, I was told that they would be out “in December.” I am trying to find out the exact date for you now and will add another update here as soon as possible. Meet Midnight & Blizzard! 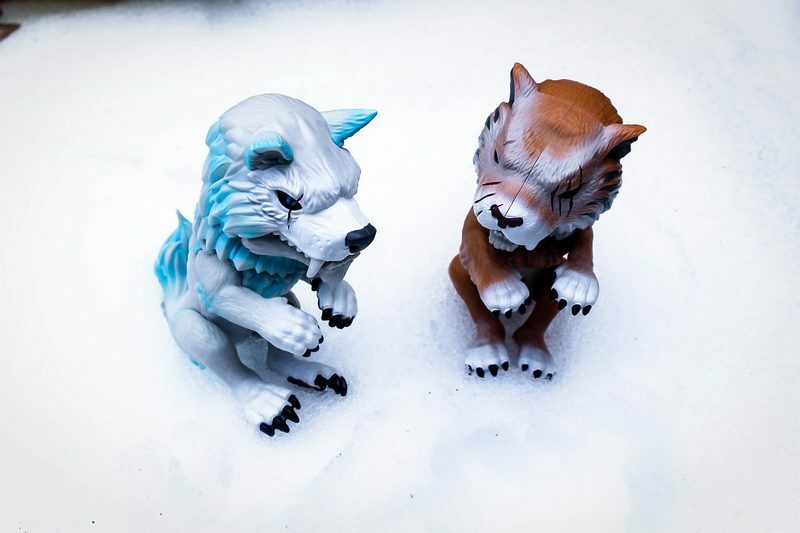 Like the tigers, these interactive wolves have two very different sides! In untamed mode, listen to them howl at the moon! Just watch out for those snarling fangs and snapping jaws! Tame them, and they turn into loving puppies who just want to snuggle. Blizzard is my favorite of the two because I really love wolves. They were my grandmother’s favorite animal, so they always remind me of her. Isn’t he adorable? 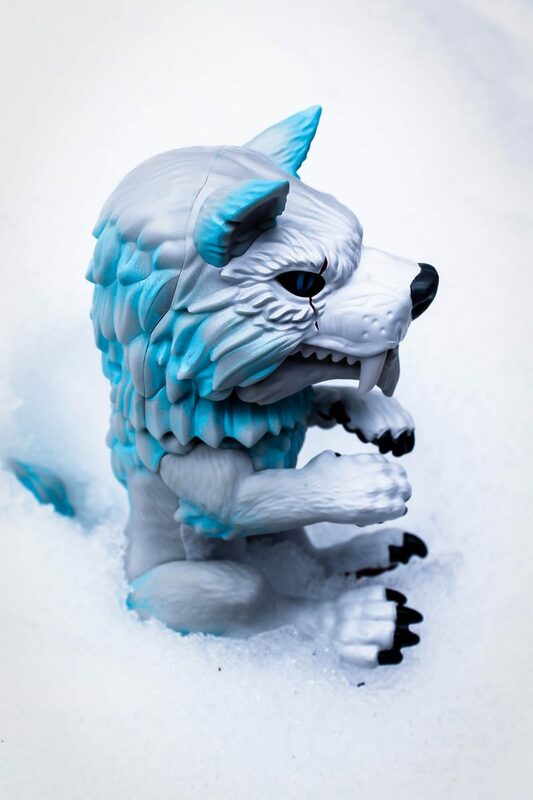 The Dire Wolves are exclusive to Amazon and will be releasing in December. I’ll update you with a link as soon as they are available. Learn more about all of the Untamed toys on WowWee’s Untamed website! Follow along on social media by following the #TheUNTAMED hashtag! Which of these Untamed beasts do you love most? My favorite is the Dire Wolf! 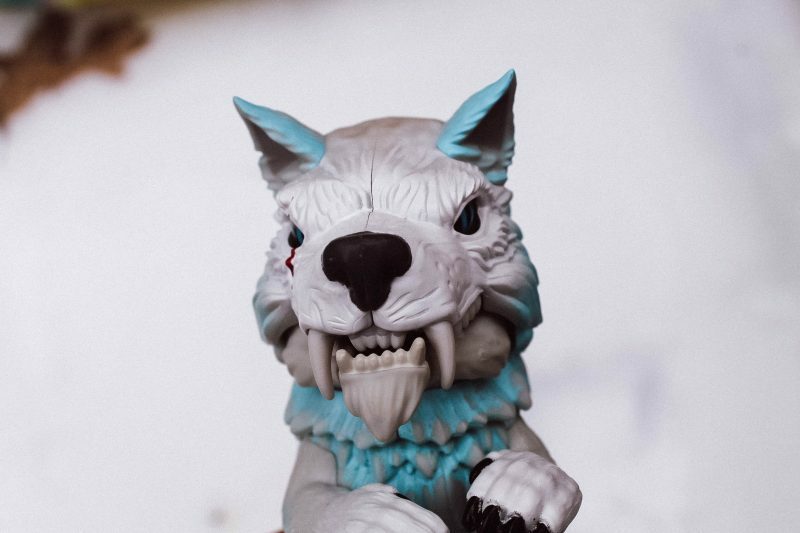 Any update on when the Direwolves will be released? These are so unique! My grandsons would love these!